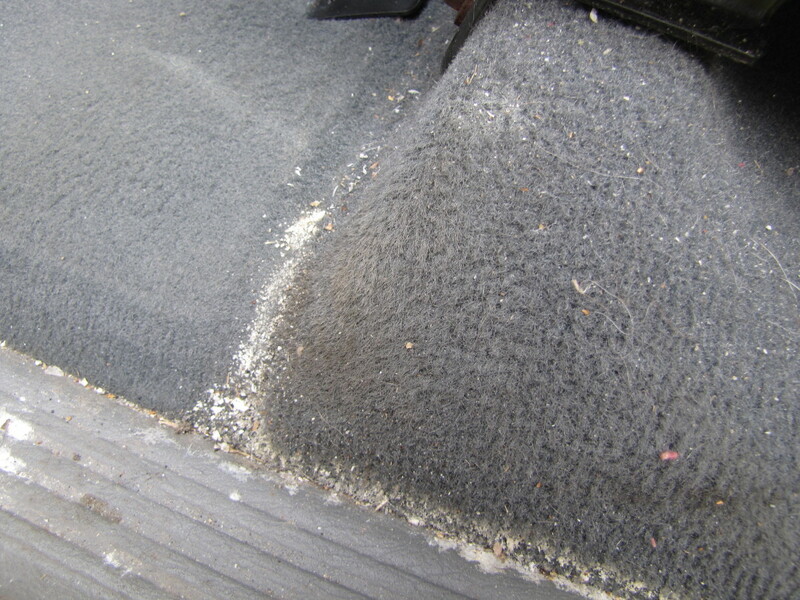 Over time, the interior of your car can start showing signs of wear. 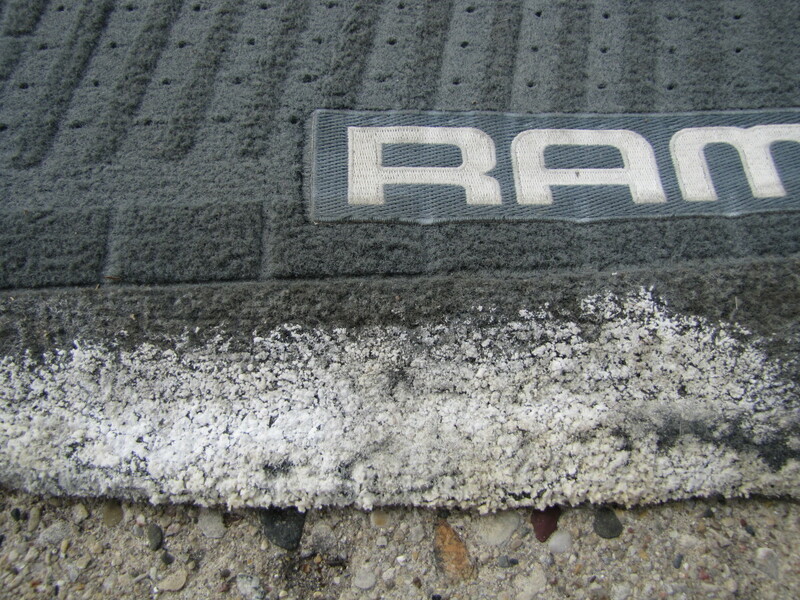 The floors can accumulate dirt, mud and salt buildup for car owners in colder states where winters are harsh. 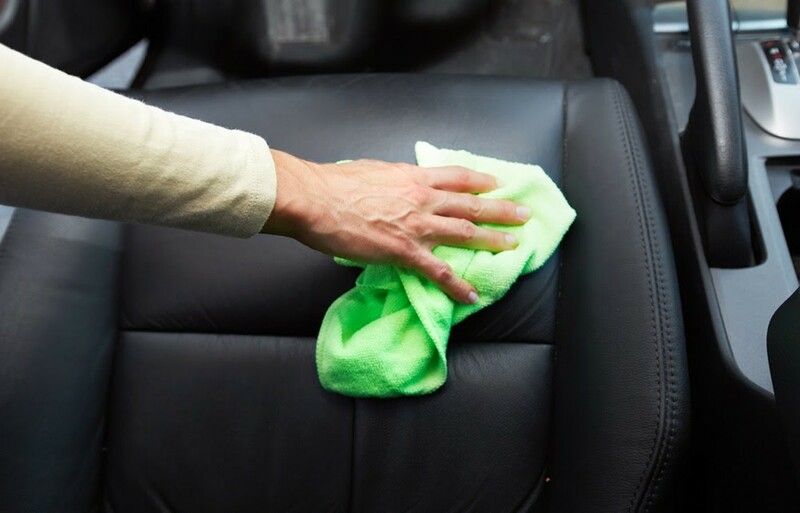 Drinks spilled on upholstery can leave stains and spots on your seats. Dust and dirt can leave a film over the dashboard. 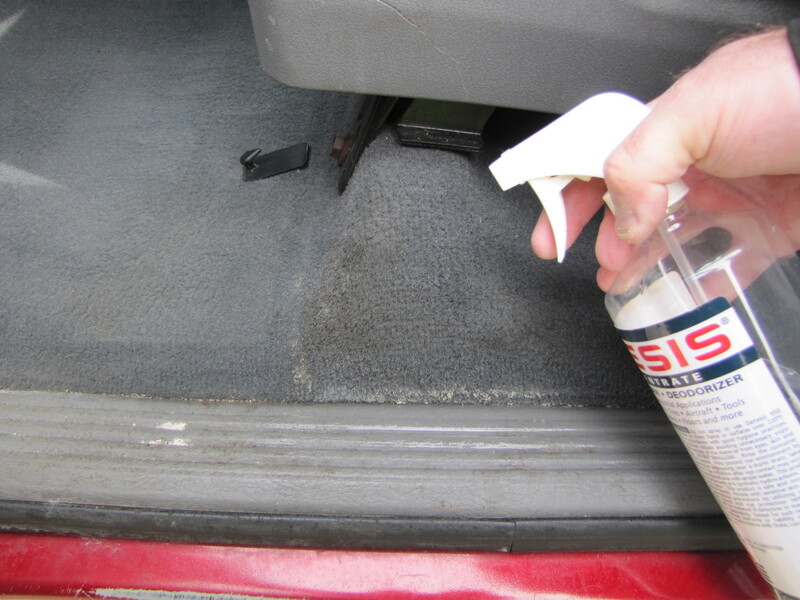 Genesis 950 makes cleaning your car an easy task. This all purpose cleaner can tackle the hardest stains from top to bottom and leave your car looking and smelling like new. 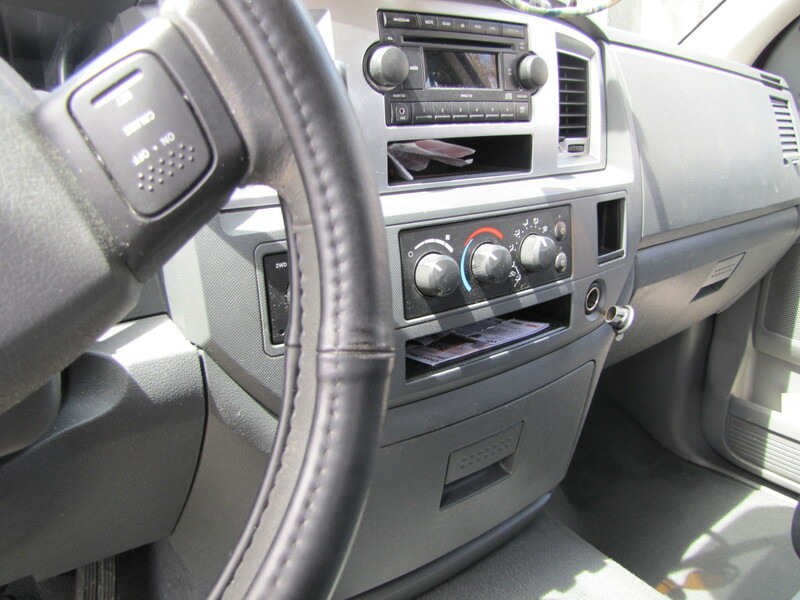 The interior of this truck has made it through a harsh winter and is ready to be cleaned. There is a great deal of salt buildup on both the floor and the mat. Over winter, this salt was pushed down into the carpet and fibers and has essentially been grounded into it. In addition to salt, there is dirt. If you look closely you will also see a brownish tint where an ice tea from a fast food drive through was spilled in it's entirety on the floor. In fact, there were two large ice teas which completely overturned in the car. This happened in the middle of winter and throughout the season, they had actually frozen into the carpet. 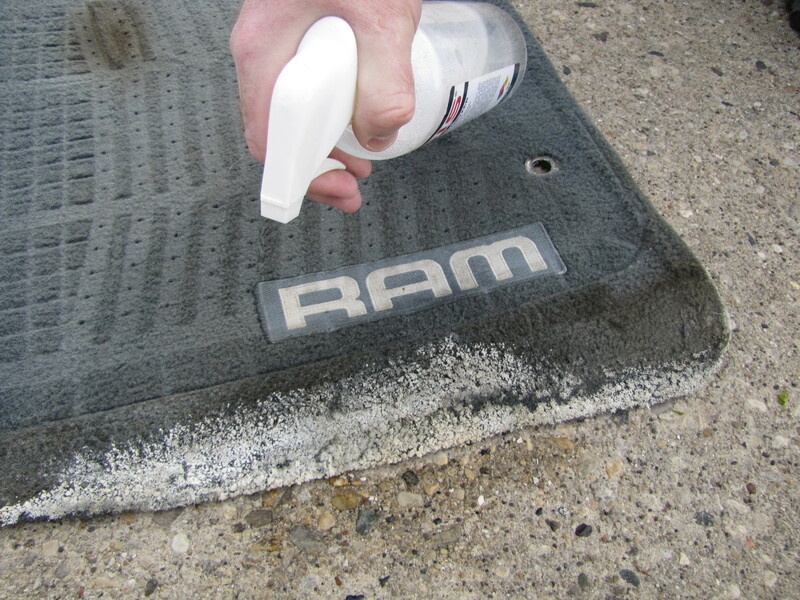 With Spring's arrival, it is finally time to clean the interior and remove the stains. Because of how well Genesis 950 works, there was no sense of urgency to clean the stains when they occurred. Genesis 950 can remove old stains just as easily as it can remove new stains. 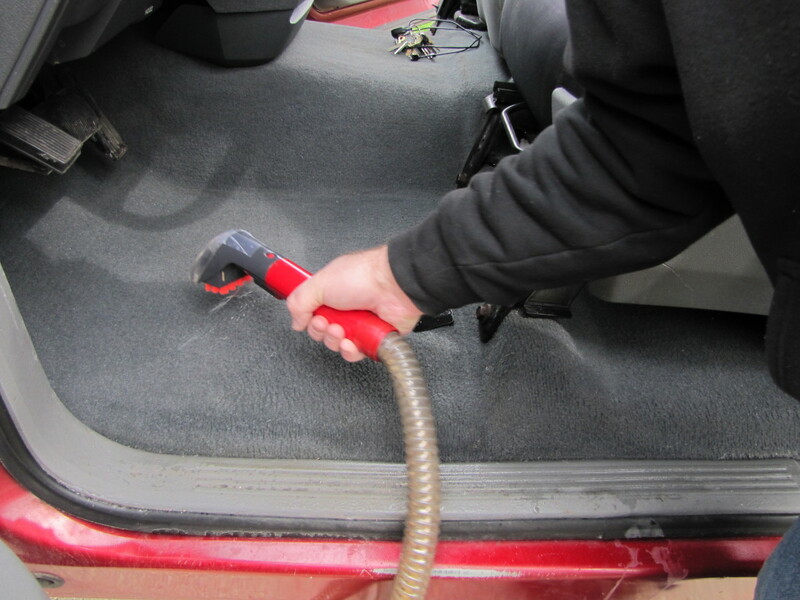 The first step in properly cleaning the car is to vacuum any loose debris. 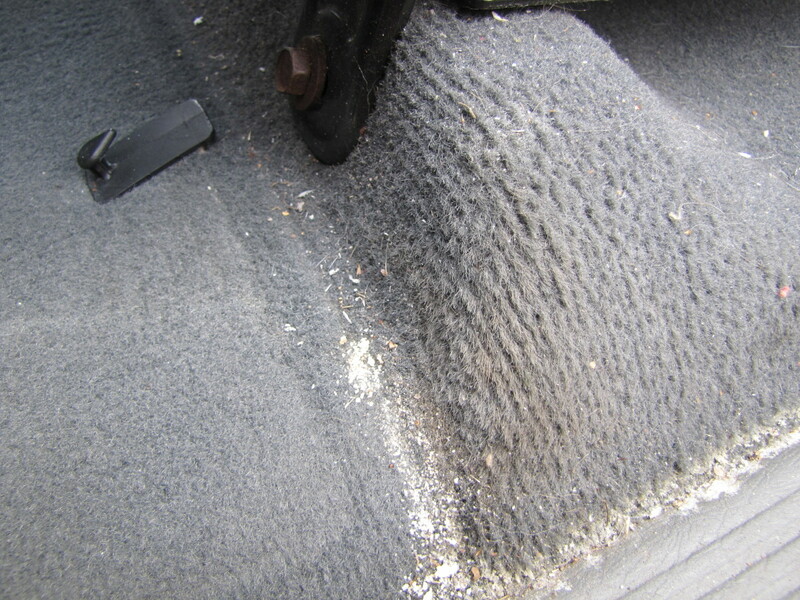 The interior of the car was vacuumed, as well as the mats. 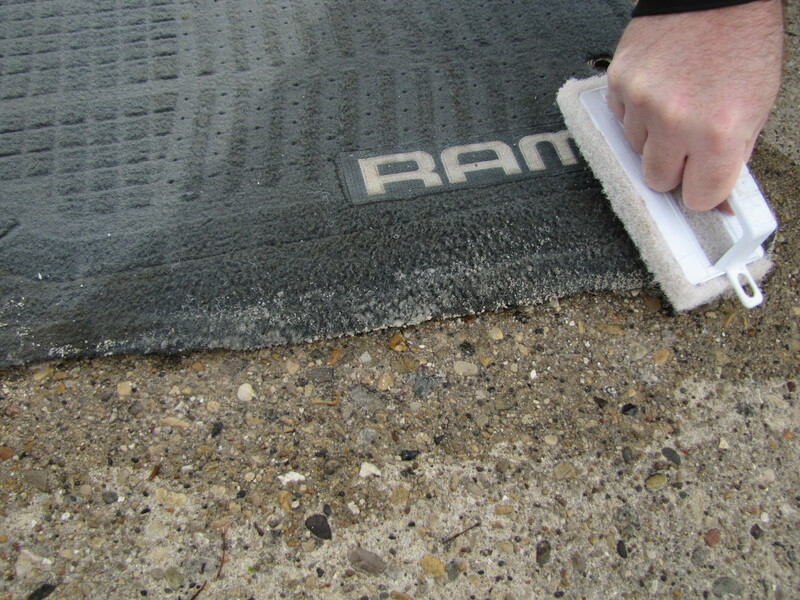 Although the mats have a great deal of salt build up, the vast majority of the salt can not be removed by vacuuming as it has been ground into the mat. After as much of the loose debris has been removed as possible, spray the stained areas with a mixture of Genesis 950 and water. In this example a mixture of 1/3 Genesis 950 and 2/3 water were used in a spray bottle. 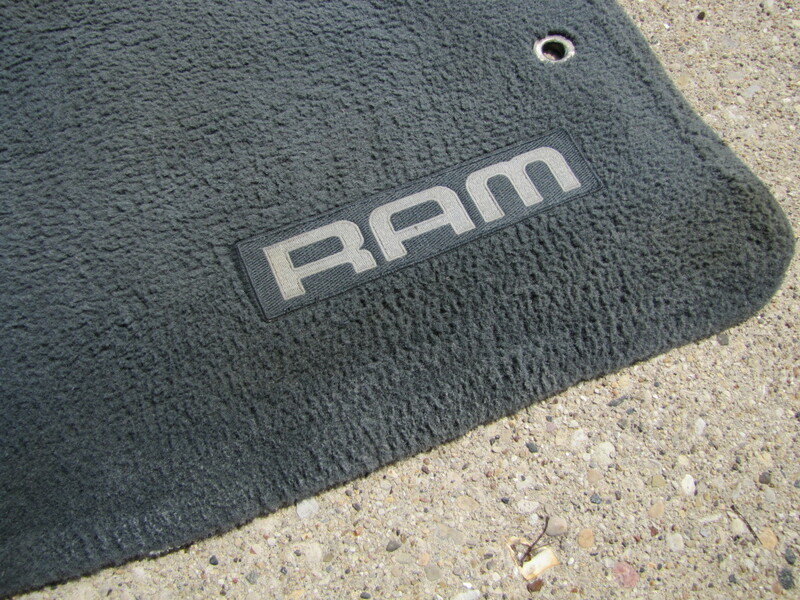 You can see on the mat how much of the salt remained after vacuuming what was loose. This salt had hardened pretty solid on the mat. Chiseling or scraping it off could ruin the fibers on the mat. 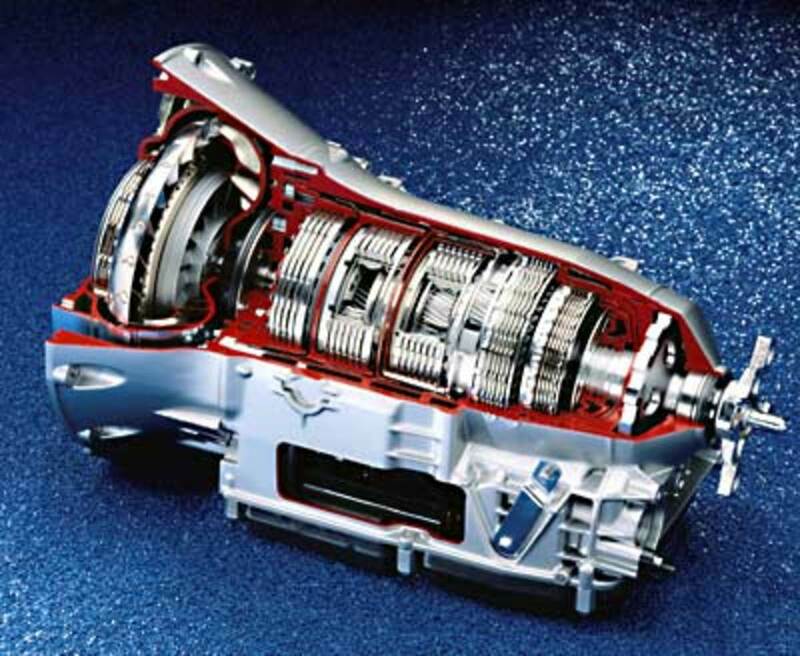 However Genesis 950 works like no other cleaner. Rather then attack the stain with harsh chemicals, it works with the water to break the bonds of the stain, in this case the salt, and in turn causes them to lift from the surface. 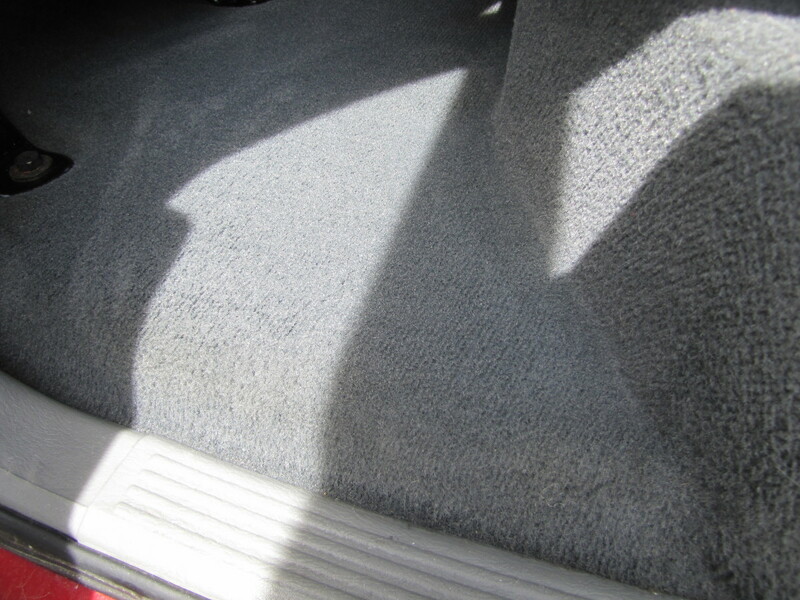 Using the same concentration, the interior flooring of the car was sprayed in the same manner. Be sure the areas are completely saturated. This will allow the 950 & water to be absorbed by the stain and begin to break it down. 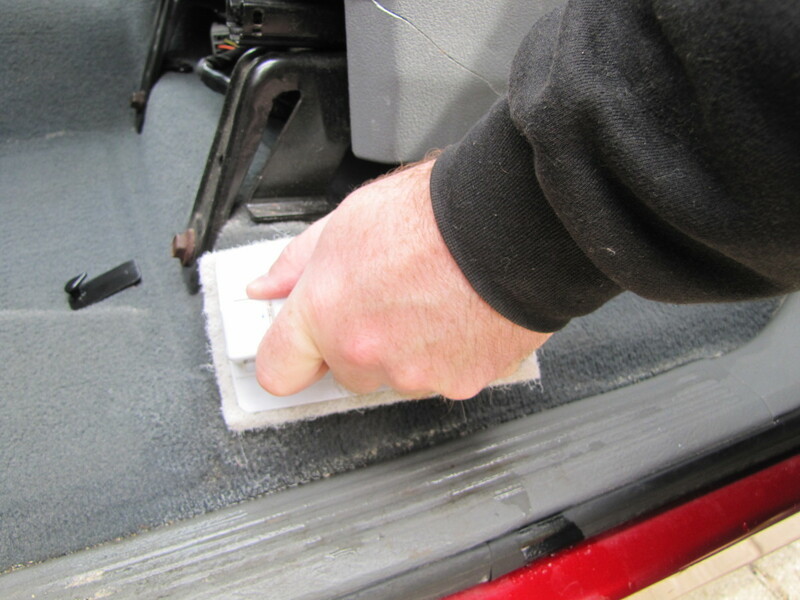 Using a sponge, rag or brush, gently scrub the area where the mixture has been applied. 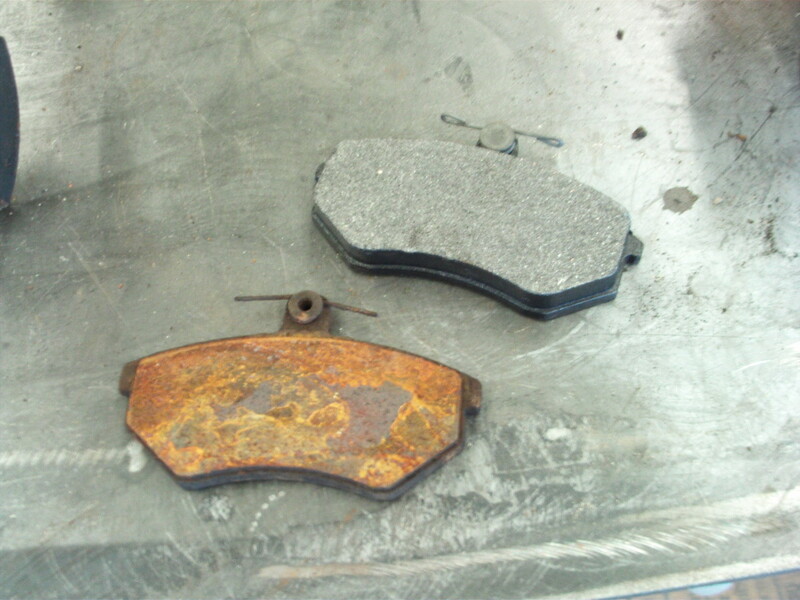 You will see that the salt, or whatever stain you are removing, will start to break down fairly easy. 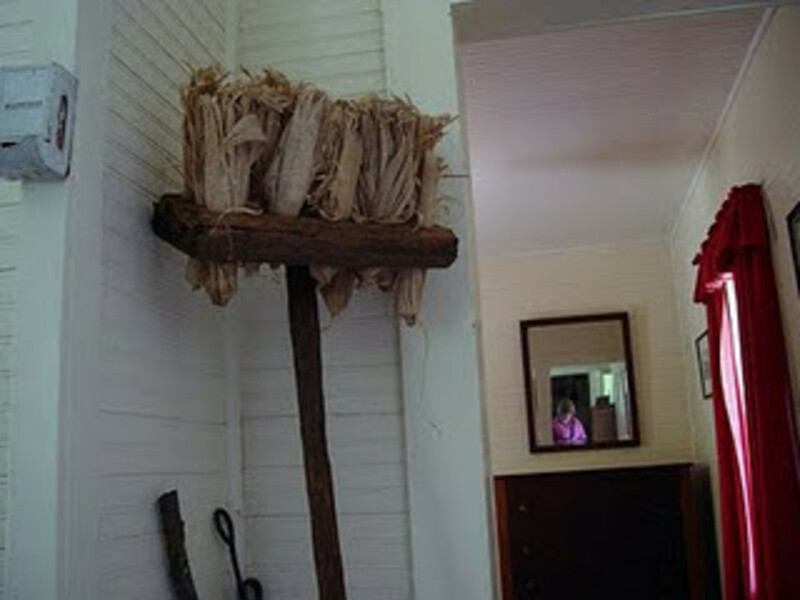 Continue lightly scrubbing until as much of the stain is removed as possible. Use the same method of cleaning on the car interior as well. 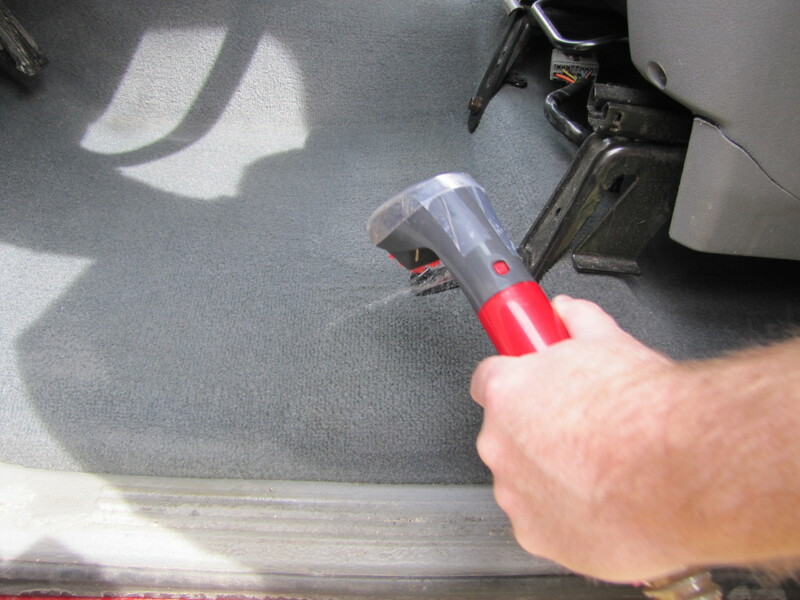 Gently scrub the area that has been sprayed to work the mixture into the carpet fibers and break down the stains. If you have access to a carpet cleaning machine or steam cleaner with an attachment, it can help to make the cleaning process much faster. This particular machine has a small compartment that can be filled with water and cleaning solution. Again, the mix of 1/3 Genesis 950 and 2/3 water was used. The machine allows the user to displace the mixture onto the surface being cleaned. 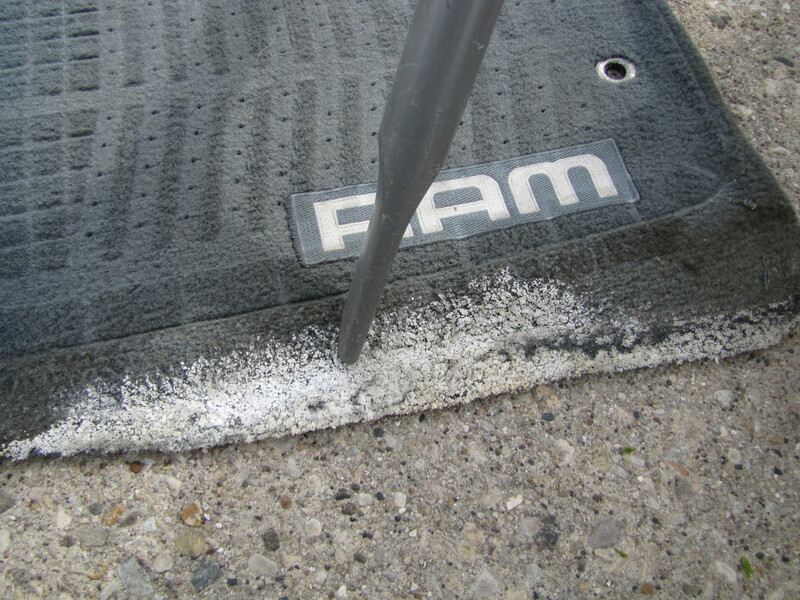 With this type of attachment, the mixture can get deeper into the carpet, resulting in a much more thorough cleaning. 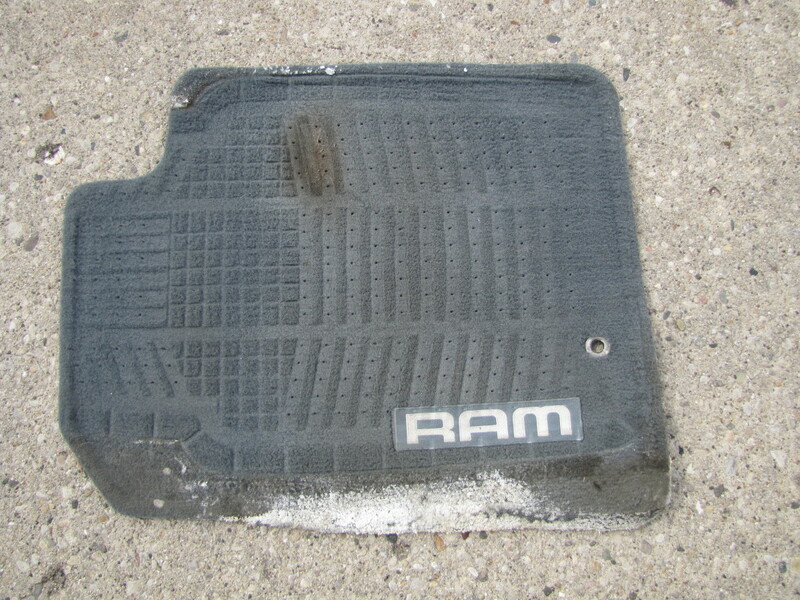 To make the process faster, this attachment was used on the car flooring. After the areas have been cleaned with the mixture of Genesis 950 and water, allow them to sit for a few minutes. 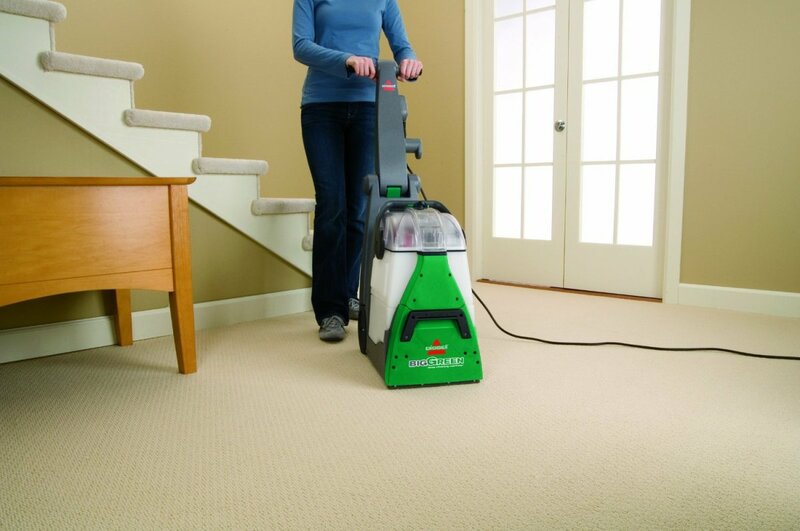 This will ensure the breakdown of any stains further in the carpet or fibers. Next, rinse the areas clean using just water. Try to extract any of the solution you can out of the material using clean water. This will flush out any of the excess stain. 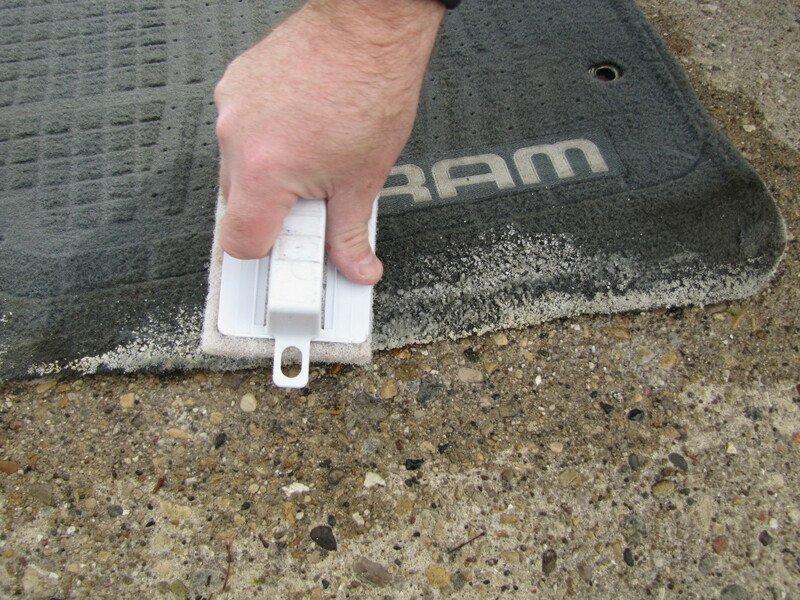 This can be done either by hand with a rag, towel or sponge, or with the use of the carpet cleaning machine. 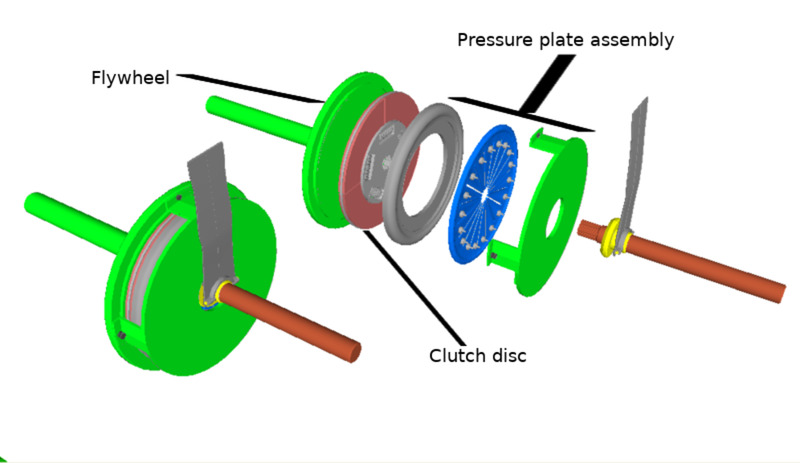 Most machines have a rinse setting where they will only allow clean water to be used. In some machines, you will have to replace the compartment with just water. Since this particular carpet cleaning machine only has one compartment, any 950 left in the tank had to be replaced with straight water. After rinsing, allow the area to dry. With a little proper cleaning, your car looks like new! 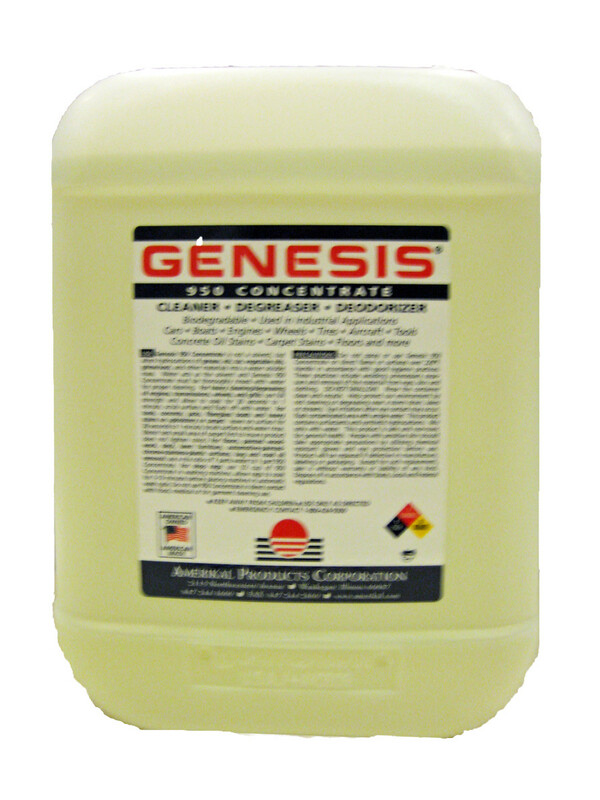 Genesis 950 can also be used to clean your dashboard and control panels. Spray it directly on the area then wipe and rinse. You can also spray it on a rag or towel then apply. To finely detail specific areas or around chrome or molding, use a Q-tip with the cleaning mixture and watch the 950 break down hard to get dirt and grime.